Broker/Owner/Instructor I am licensed in both Florida and Georgia. As an active broker I have great knowledge of the North Florida, South Georgia market. I am a Florida Realtor instructor for both GRI and CE. Many years in real estate sales and training. Strong mortgage lending background, former Pres of Tallahassee Mortgage Bankers Association. Also very knowledgeable in affordable housing programs and issues. Former member of Affordable Housing Study Commission and Tallahassee Housing Authority. Won HUD Best Practices Award for First Time Home Buyer Program. 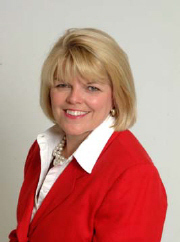 2008 President of the Tallahassee Board of Realtors. 2009 DVP, 2010 Vice Chair of Professional Development Florida Realtors. I have lived in Tallahassee since I was four years old and know this town and surrounding area very well. 2008 President of the Tallahassee Board of Realtors, member of the 2009 Florida Realtor Leadership Academy.